View More In Kids' Baking Supplies - Page 4. 1.All the color show fashion and nobility. 2.Perfect for putting cakes, cupcakes ,cookie etc. 3.Can not be placed in the oven. 4.Suits for for a wedding, christening, anniversary, engagement, birthday, baby shower, halloween or christmas event. 5.The approximate size of the wrappers when assembled is 5cm across at the base, 8cm across at the top and 5cm tall. 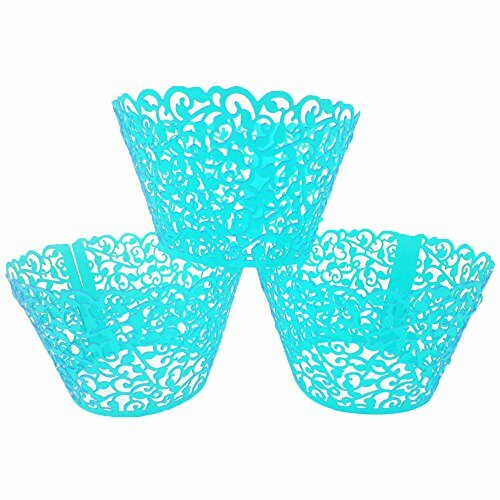 Please note that the cupcake wrappers are not for you to put into the oven, but to decorate the cupcakes or muffins after they are baked. Suits for for a wedding, christening, anniversary, engagement, birthday, baby shower, halloween or christmas event. If you have any questions about this product by LEFV, contact us by completing and submitting the form below. If you are looking for a specif part number, please include it with your message. Disney Moana/Vaiana Apron and Chef's Hats Set, Officially Licensed.